Cask has a radical drinks programme that features seasonal farm-to-glass cocktails devised by accomplished mixologist Andy Ferreira and an innovative small plates food menu created by award-winning chef Bryan McCarthy. Cask is located at number 48 MacCurtain Street in Cork’s city centre, Ireland, next door to Hotel Isaacs and Greenes Restaurant. The team has taken a stunning old building in the Victorian Quarter and given it a new lease of life, all the while placing a huge emphasis on restoring and embracing its little nooks and crannies and respecting as many of the original features as possible. The ceiling panels were removed to allow sound-proofing and put back up in the exact same position. The original tiles and front doors have been restored. The décor and interior have contemporary, Prohibition-era design elements while maintaining many of the original features and character of the Victorian building. An amazing team has come on board; an award-winning cocktail master in Cask manager Andy Ferreira and a multi-award-winning chef in Bryan McCarthy. A seasonal drinks programme is at the heart of Cask. A seasonal cocktail menu changes every eight weeks and is based around what wild ingredients are available to pick and forage, such as wild gorse flowers, fresh dillisk and rosemary flowers. Three specialist Japanese ice machines have been installed to produce block ice, ball ice and flavoured ice. Small dishes and sharing plates are from the same team behind renowned Greenes Restaurant – The Best Restaurant in Munster (Food & Wine Awards 2016). 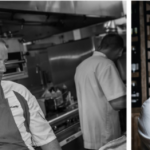 Head chef, Bryan McCarthy, has developed the food offering with many global influences. Expect Japanese-influenced dishes like Dashi Broth and Tonkatsu Chicken Wings with Kombu Salt; Korean-style Pork Belly in Steamed Buns; French-style Cassoulet; Spanish-inspired Black Bean, Monkfish and Chorizo; Italian-influenced Antipasti and Charcuterie Boards; Cajun Buttermilk Chicken Lollipops and South American Ceviche. All of these elements are married with a wine list of more than 20 carefully selected wines, an eclectic music policy played on a state-of-the-art sound system, and one of the most unique and stunning outdoor areas in the whole country. Cask is now open at 48 MacCurtain Street, Cork, Ireland. Andy Ferreira came on board to develop Cask in December 2016. An accomplished mixologist, Andy represented Ireland at the prestigious Cocktail World Cup in New Zealand. More recently, Andy spent three years working on the Jameson Bartender Academy with Nick Strangeway, one of the most influential characters in the drinks industry. Nick is a huge advocate of farm-to-glass cocktails. Nature inspires Andy; the never-ending potential to make original drinks through the infinite produce that surrounds him in Cork. Andy’s passion lies in making something completely unique while pushing the boundaries of flavor and our senses. Andy also runs his own events and consultancy company, Raise the Bar, which specialises in high volume craft cocktails and consultancy. 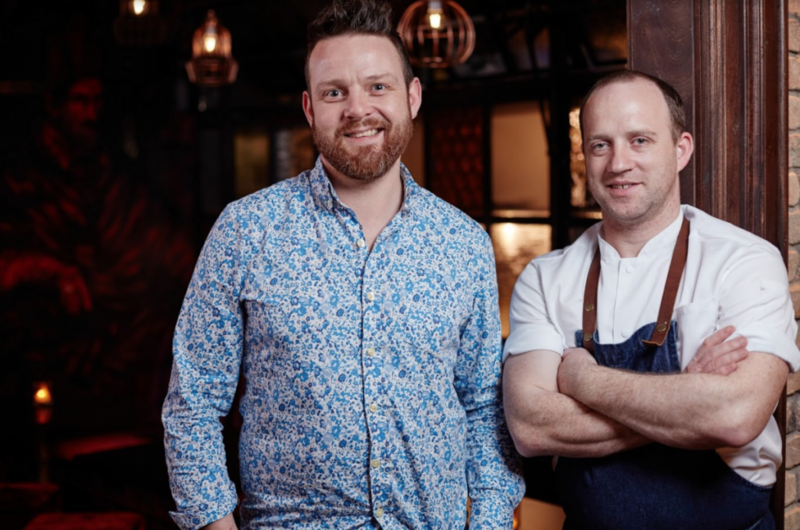 Award-winning chef Bryan McCarthy is head chef at Cask as well as executive head chef at neighbouring Greenes Restaurant for the past three years. From Glandore in West Cork, before joining Greenes Bryan worked at the Savoy Hotel in Limerick during which time he was listed among Ireland’s top 10 foraging chefs by respected food writers John and Sally McKenna in the McKennas’ Guide. As a member of Euro-toques Ireland, Bryan supports the philosophy of sourcing top quality local and seasonal food ingredients. He is also a regular on the food demo circuit at festivals and events. 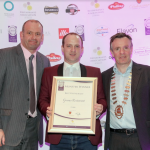 Bryan received Yes Chef Magazine’s Skill & innovation Award 2016 and won Best Chef in Cork 2015 by the Restaurant Association of Ireland. He was listed in Ireland’s Top 10 Hot Chefs by the McKennas Guides 2013 and among Ireland’s Top 10 Top Foraging Chefs by the McKennas’ Guides.